We are two bike lovers from Saskatoon, Saskatchewan and during our travels abroad we discovered these ultra cool, easy riding, super fun bikes and we decided to bring them to Canada! Canadian summers are short and you want to be enjoy every minute outside. 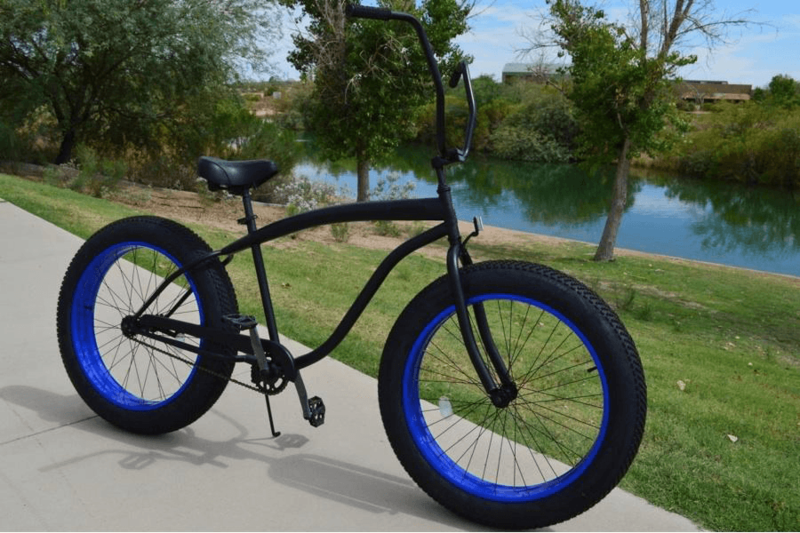 There isn't a better way to get some exercise and have fun than to be spotted riding one of these bad boys! 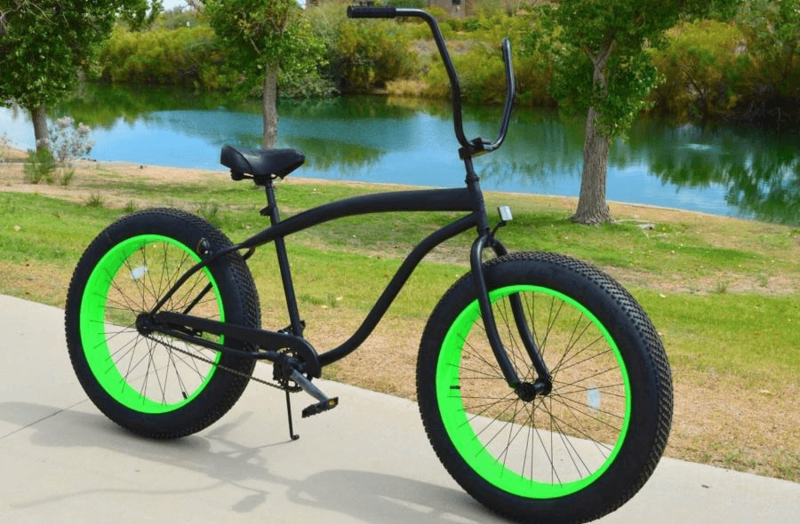 The signature feature of our bikes is the super-sized tires which not only look awesome but they provide a comfortable and easy ride for all day fun. These bikes demand attention, turn heads and everyone wants one! 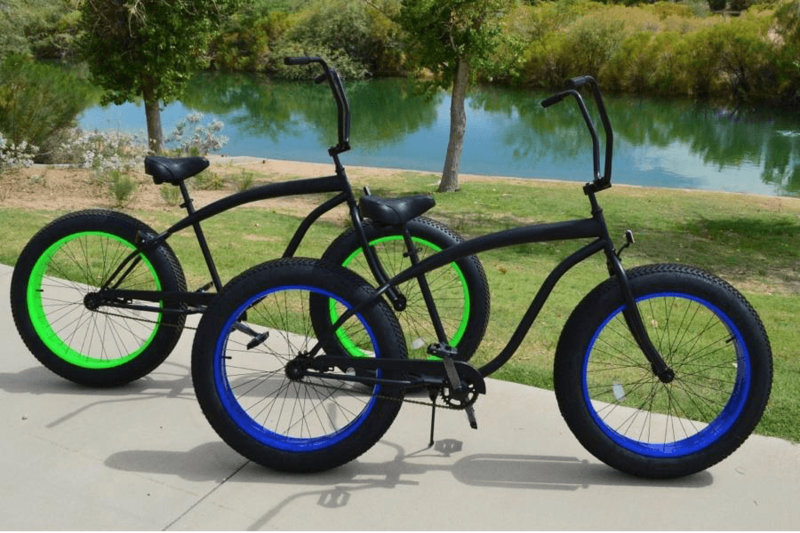 All bikes come with a matte black 26-inch frame, 26-inch X 4-inch rims and your choice of electric blue or neon green. We have a limited stock and then they are gone!